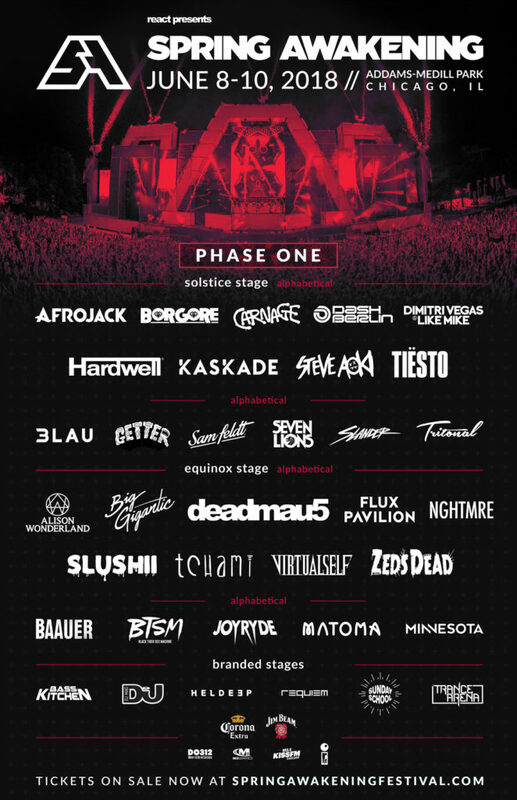 Spring Awakening Music Festival (SAMF) organizers today revealed the initial list of artists set to perform at the 2018 event, set for June 8-10 at Addams/Medill Park in Chicago, Ill.
Artists topping the list include Afrojack, Alison Wonderland, Big Gigantic, Borgore, Carnage, Dash Berlin, Deadmau5, Dimitri Vegas & Like Mike, Flux Pavilion, Hardwell, Kaskade, NGHTMRE, Slushii, Steve Aoki, Tchami, Tiesto, Virtual Self, Zeds Dead, and more (see full lineup graphic below). 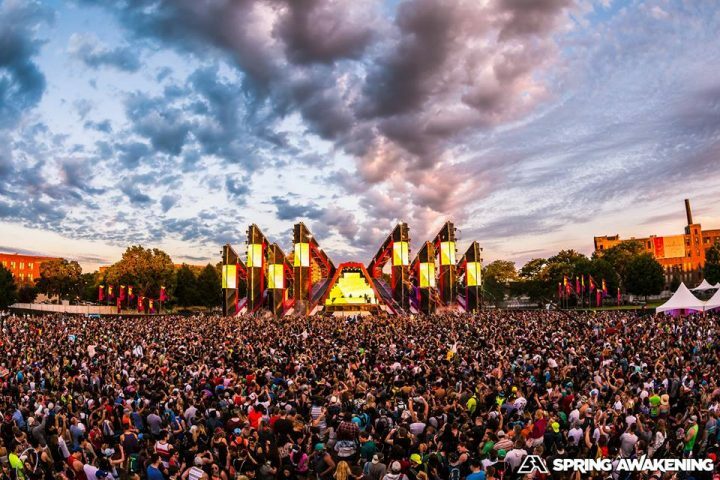 Spring Awakening tickets are on sale now, priced at $189 for a three-day general admission pass and $289 for VIP passes. SAMF is produced by React Presents.